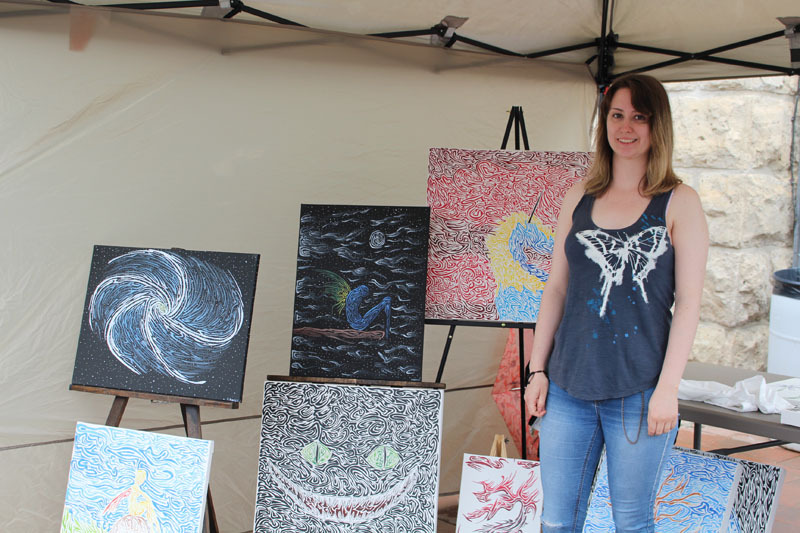 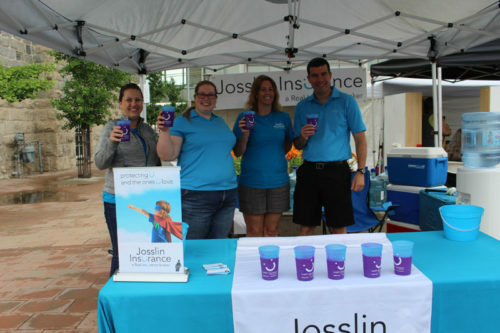 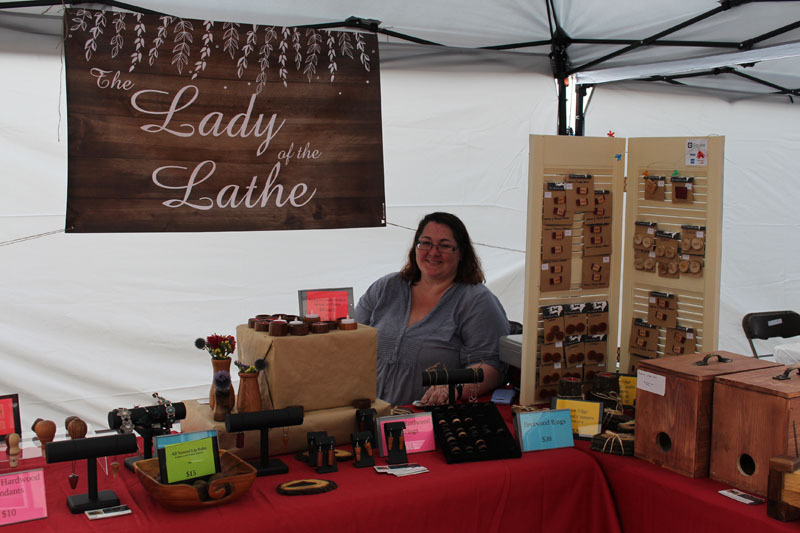 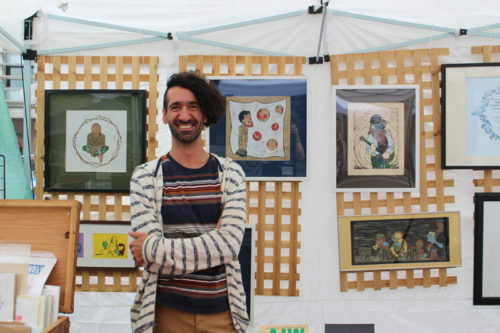 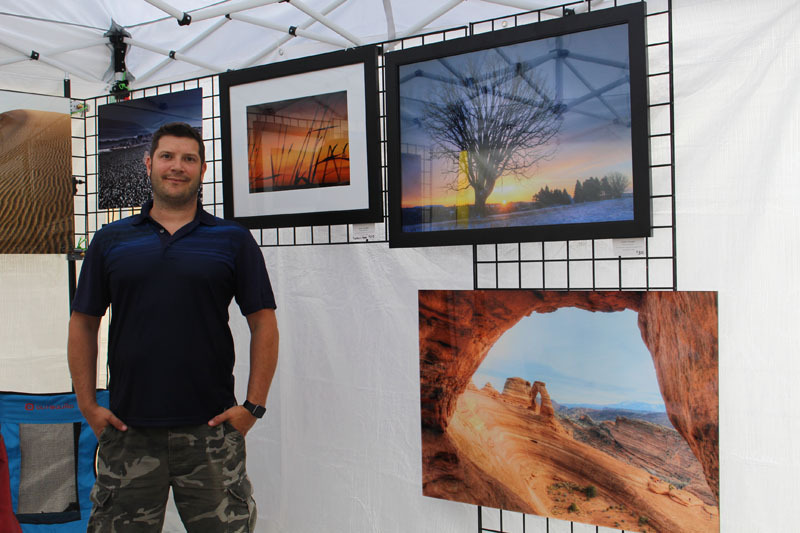 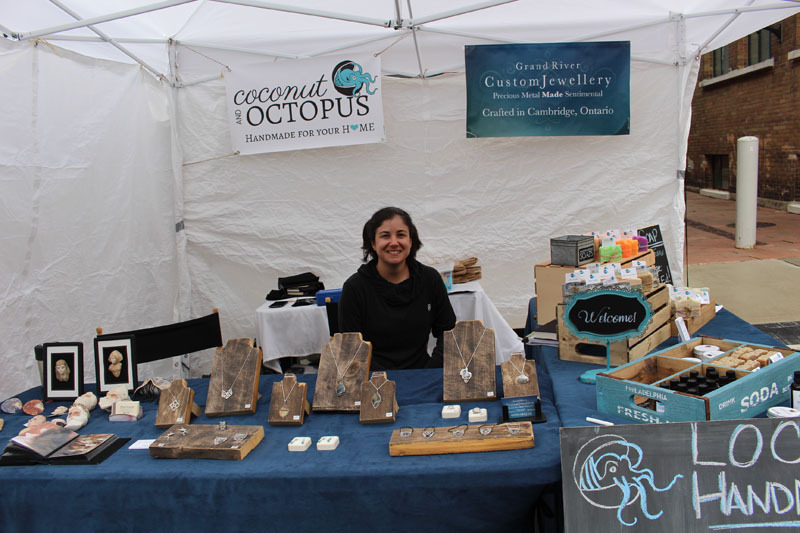 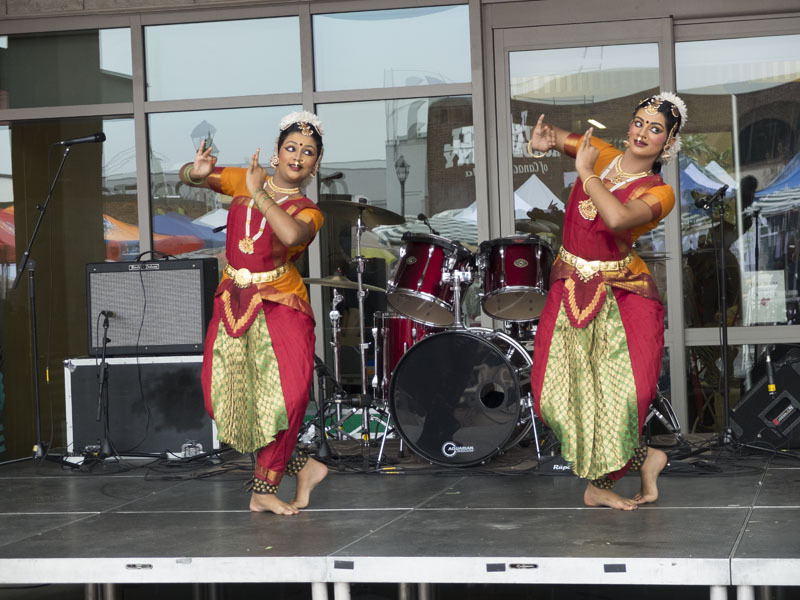 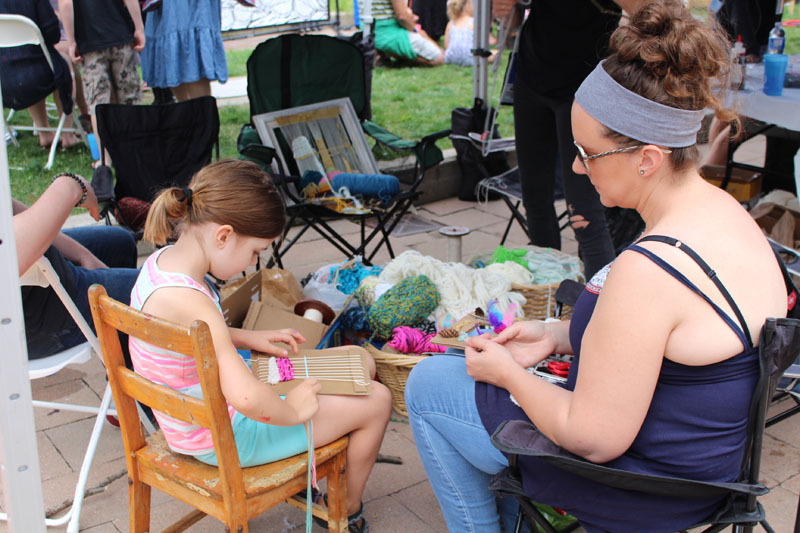 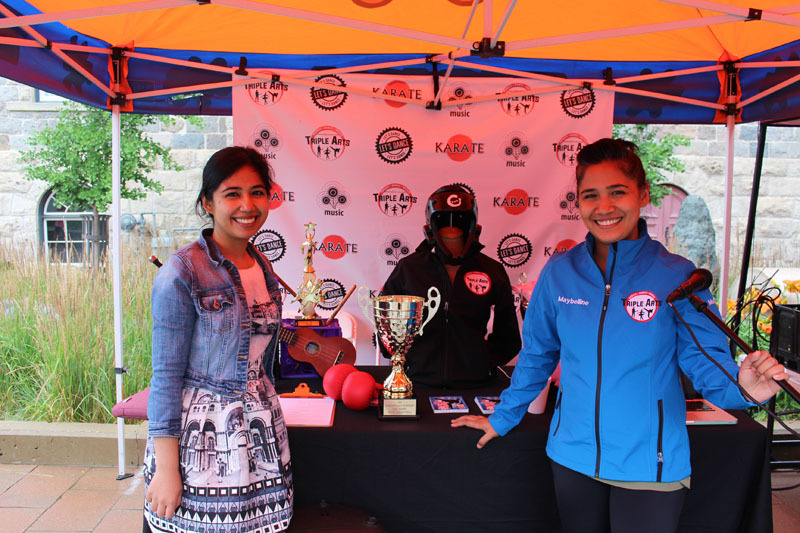 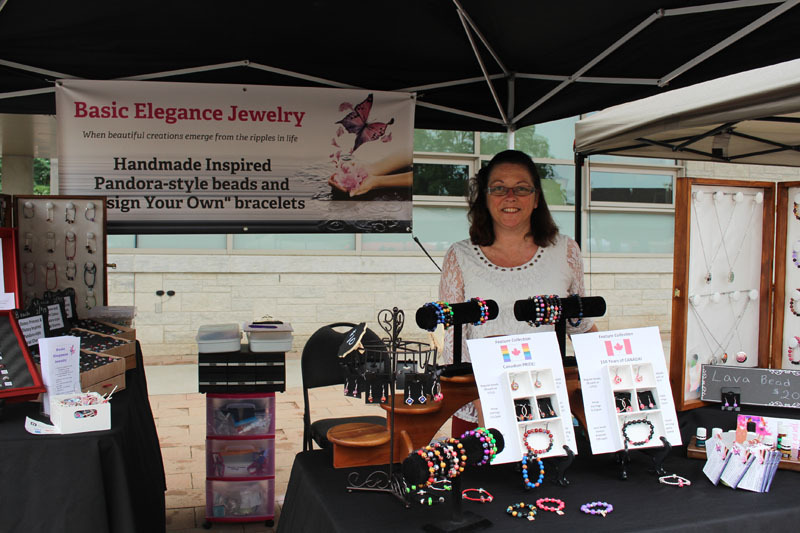 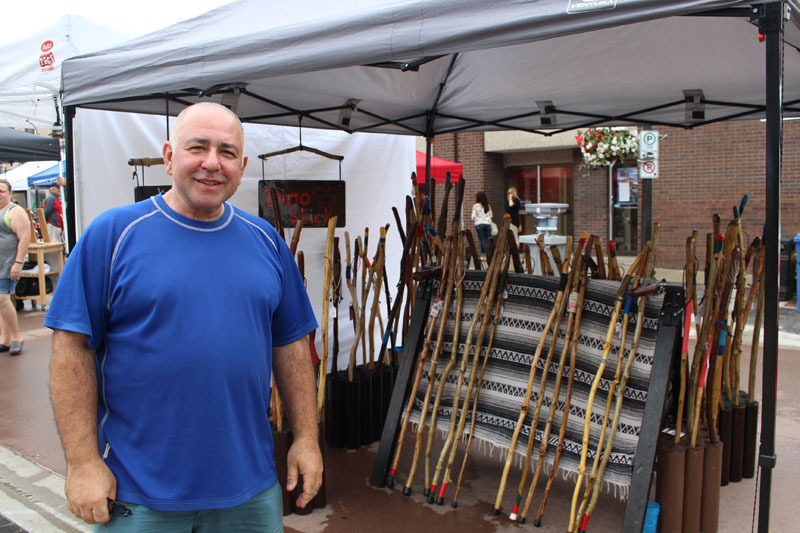 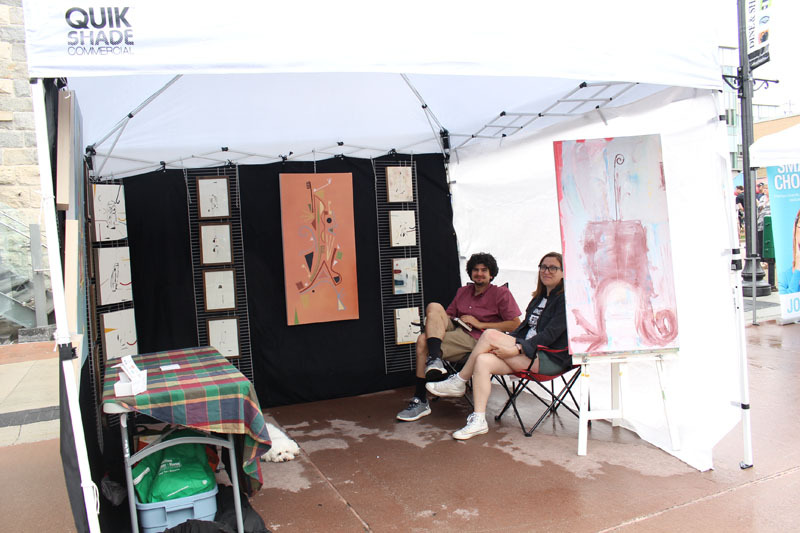 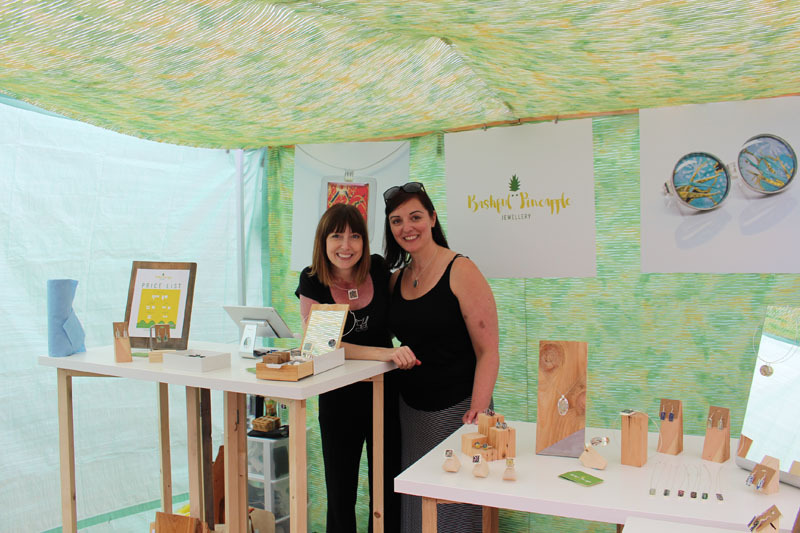 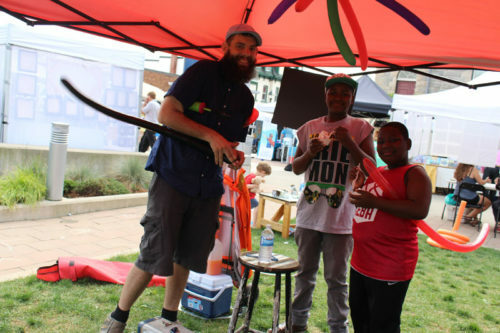 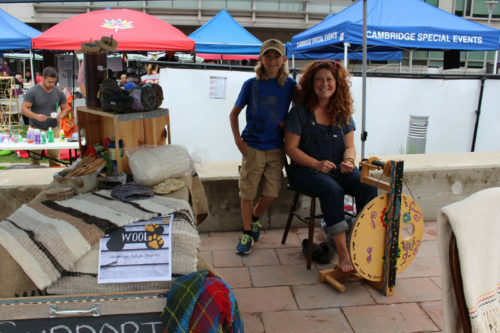 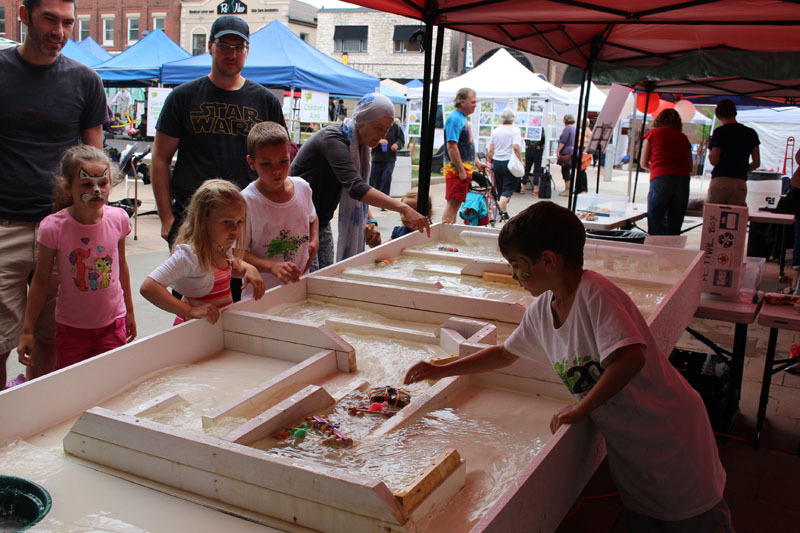 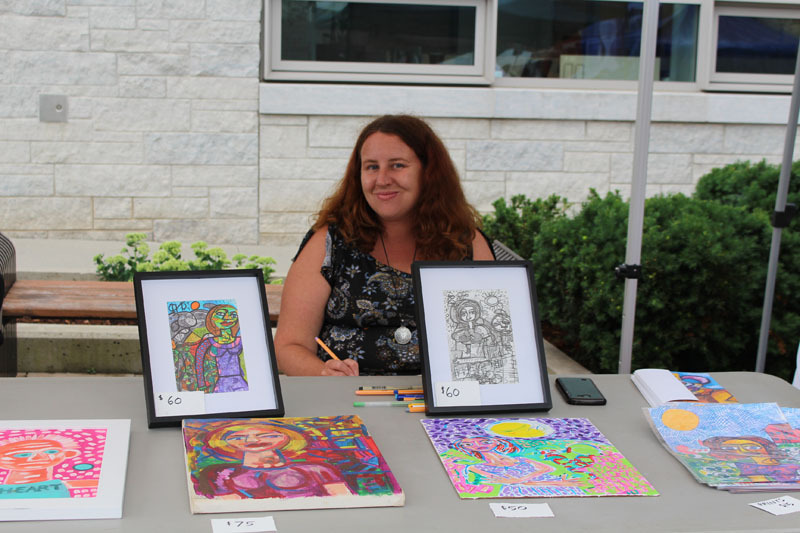 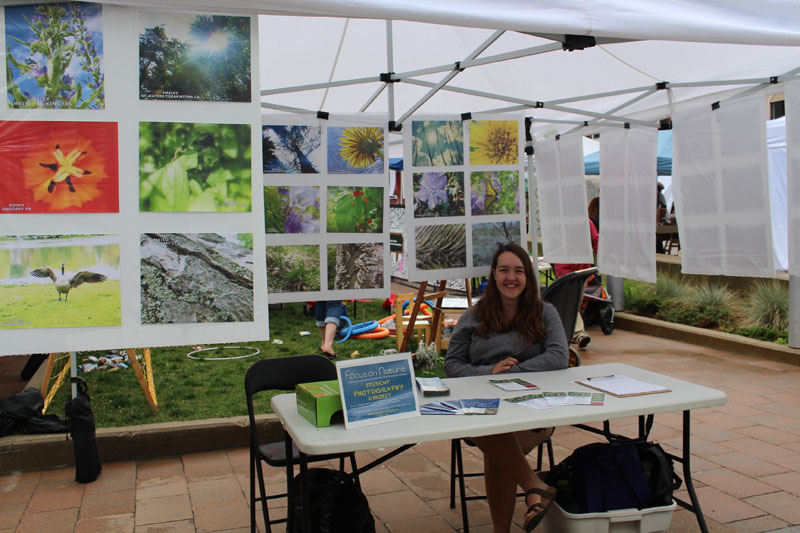 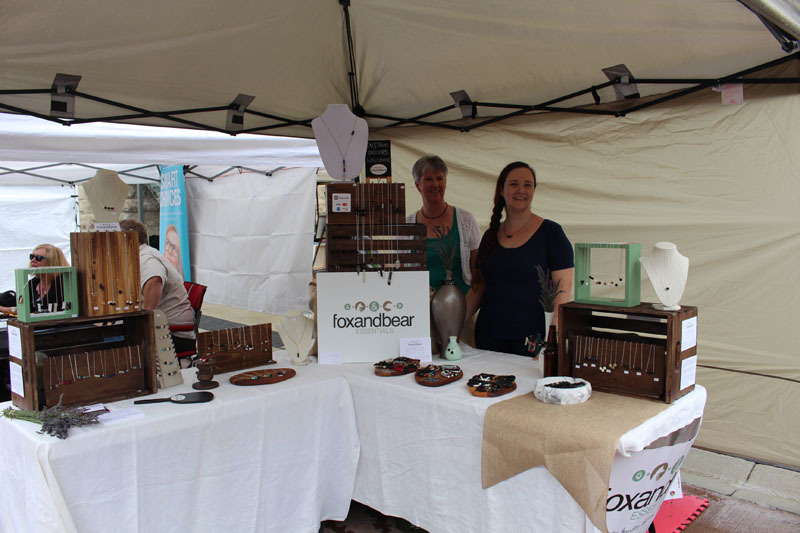 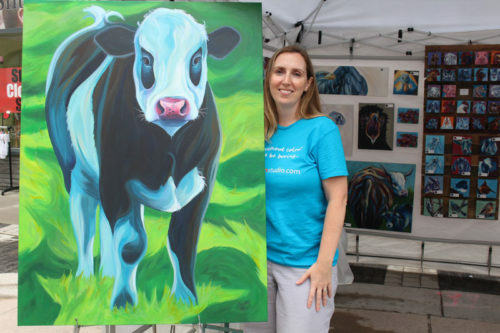 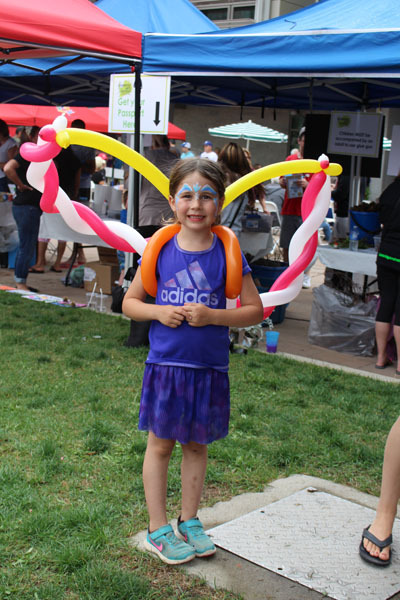 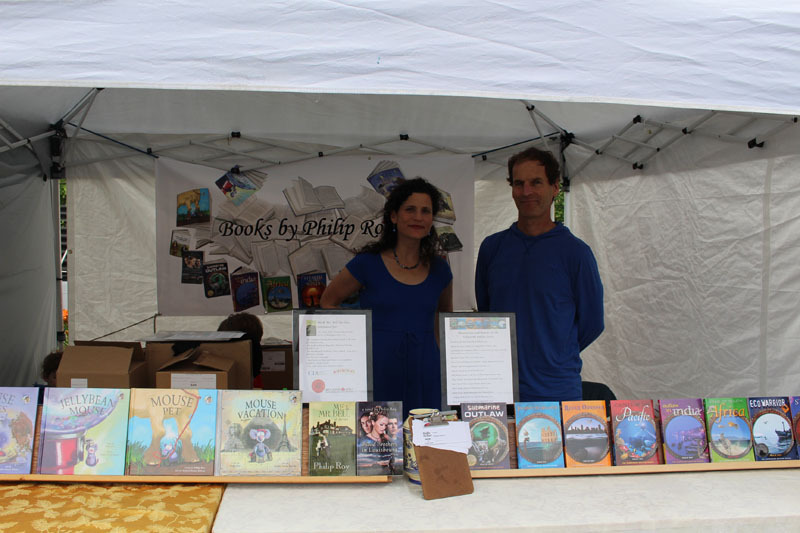 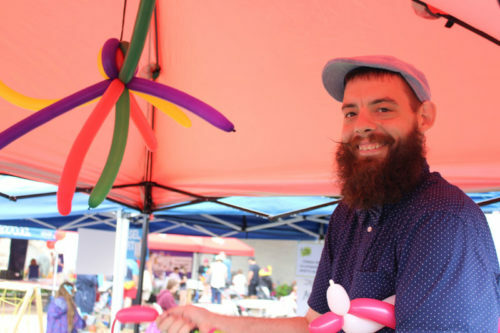 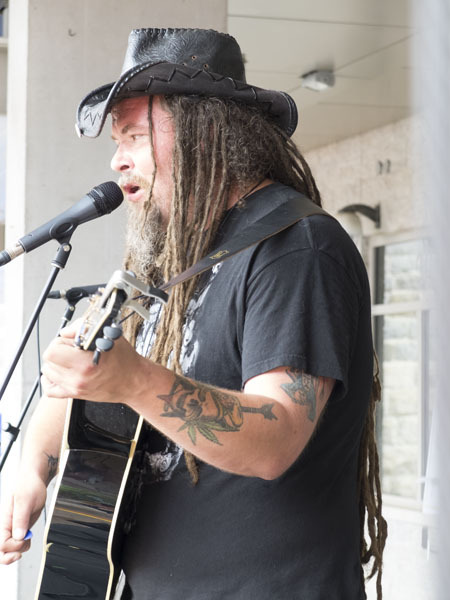 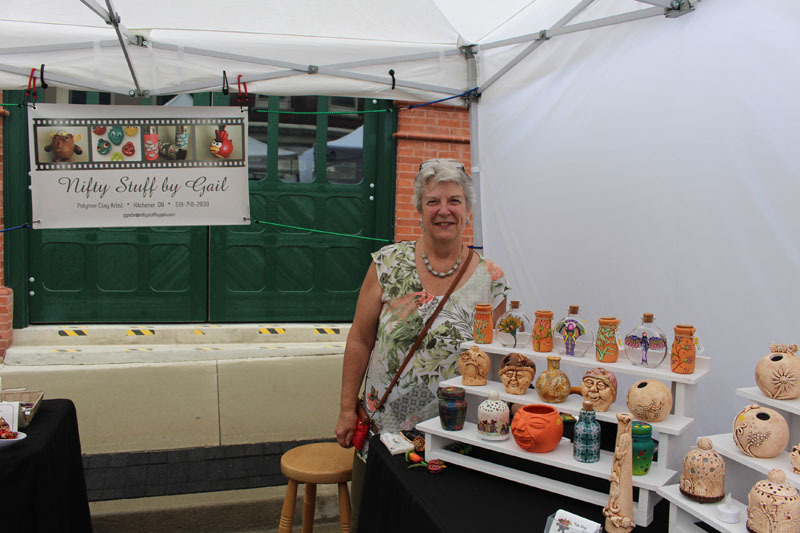 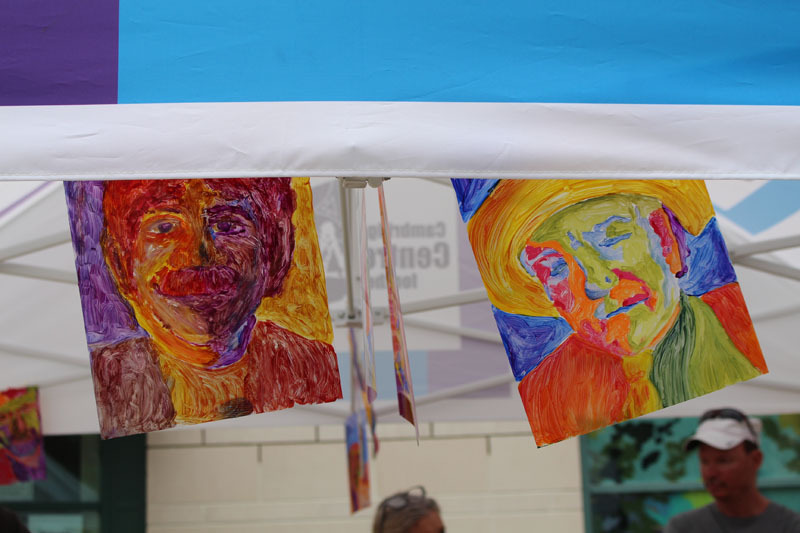 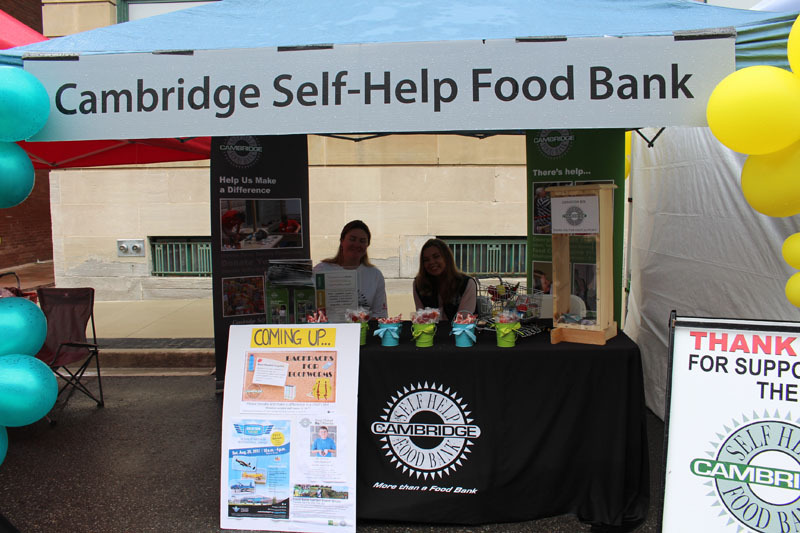 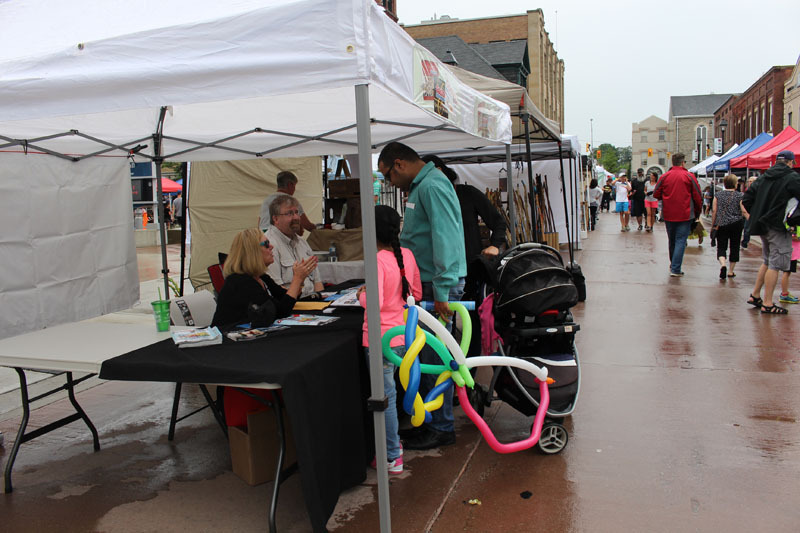 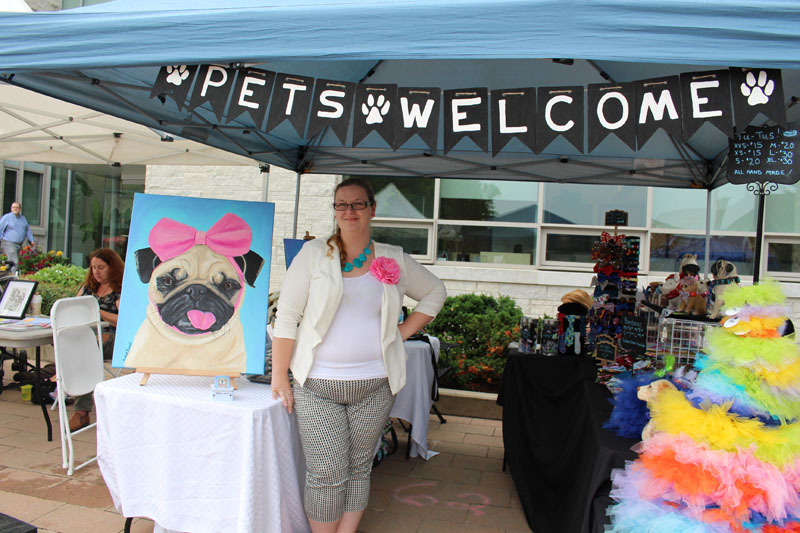 The 22nd annual Cambridge Arts Festival was held on Saturday, July 22, 2017. We had a rainy start to the day but it was warm and the rain cleared by early afternoon. 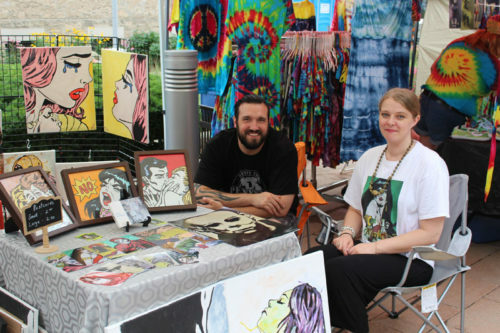 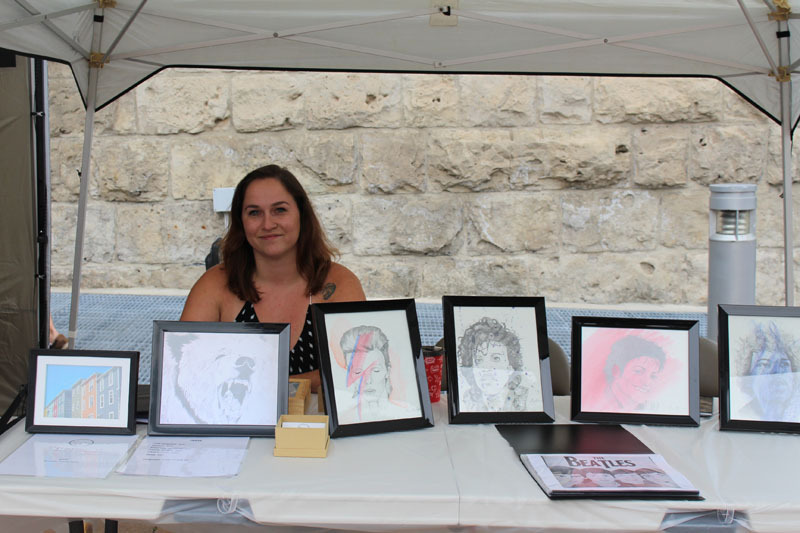 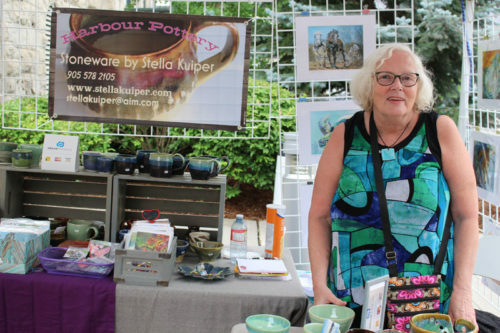 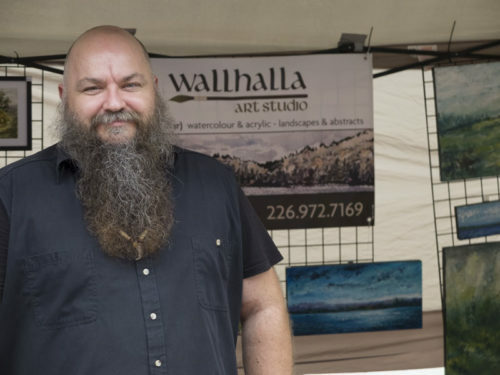 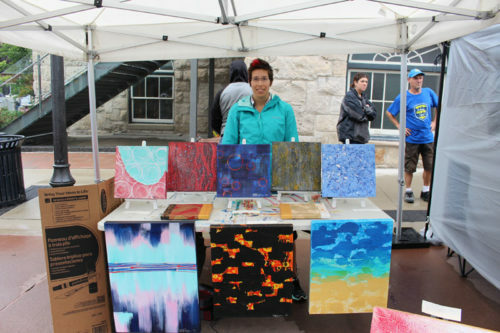 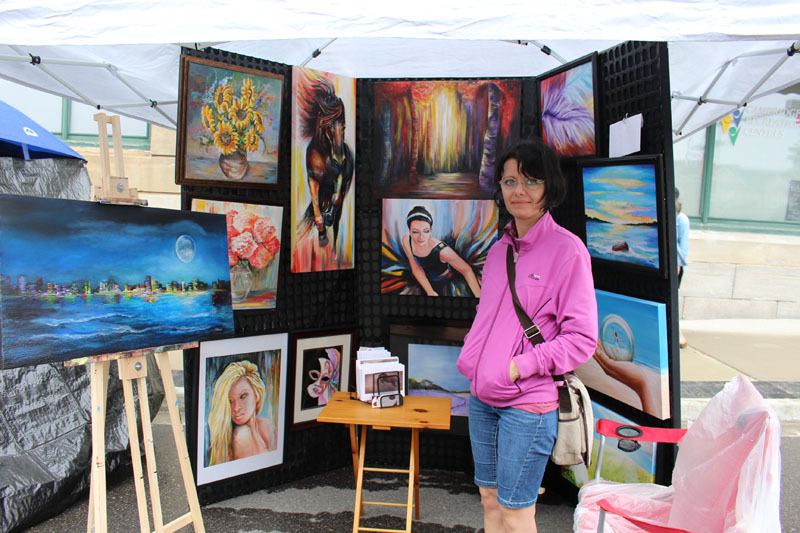 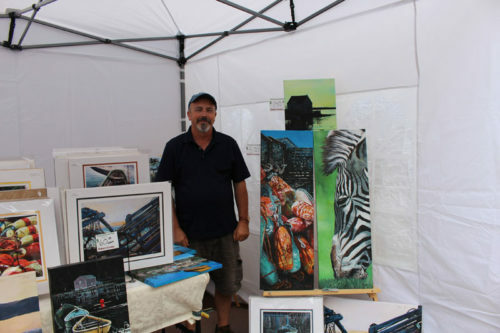 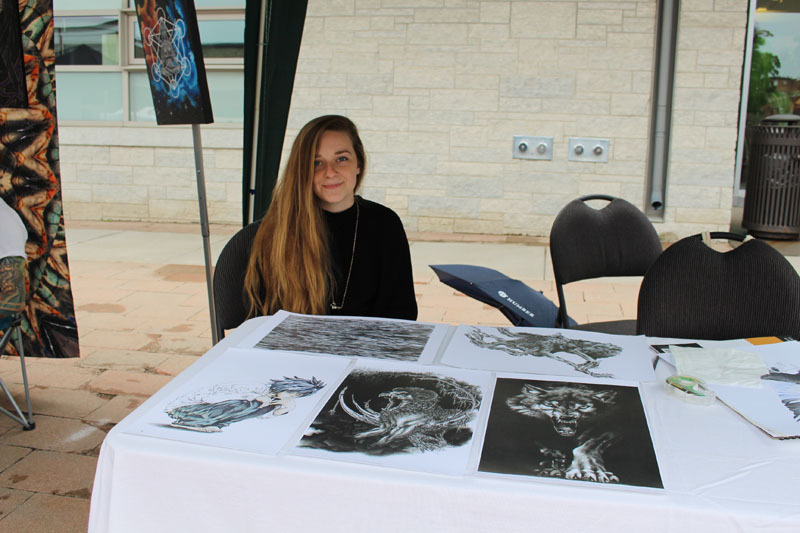 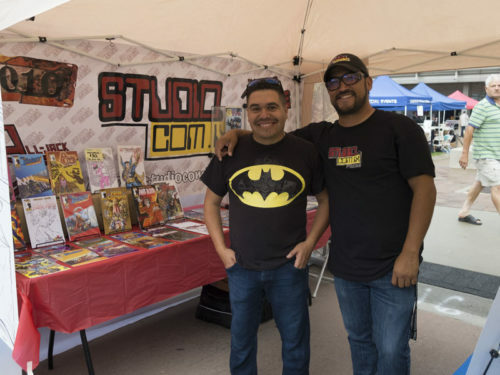 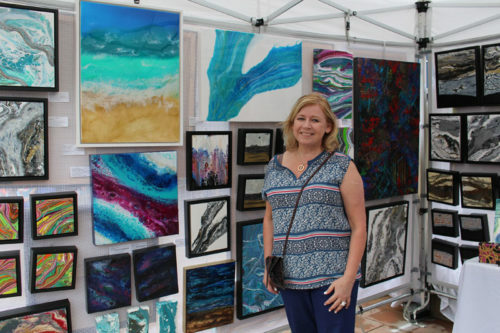 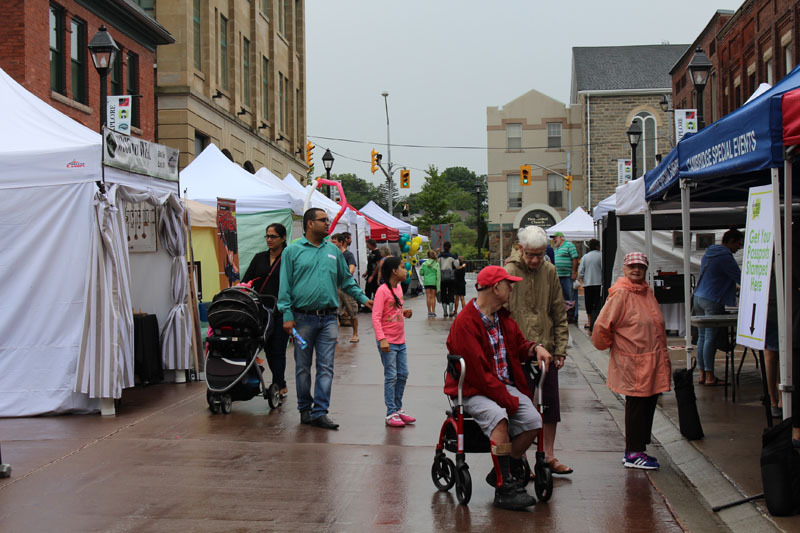 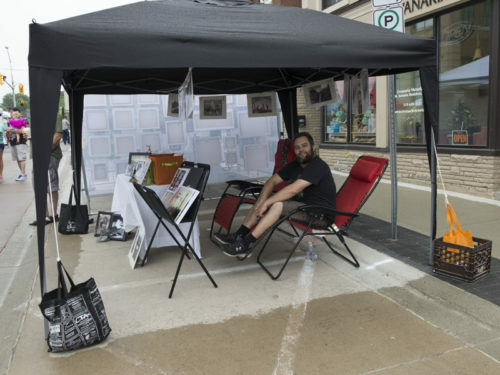 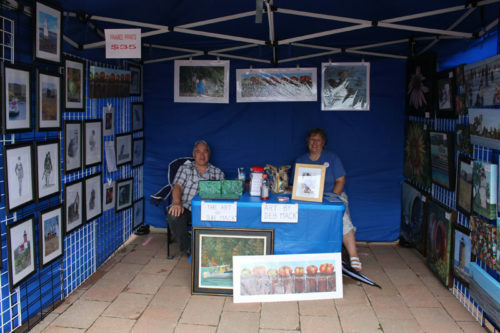 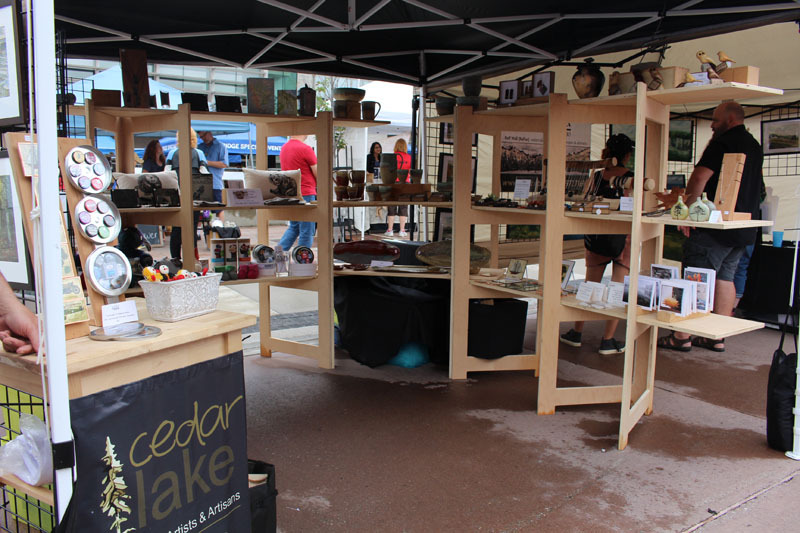 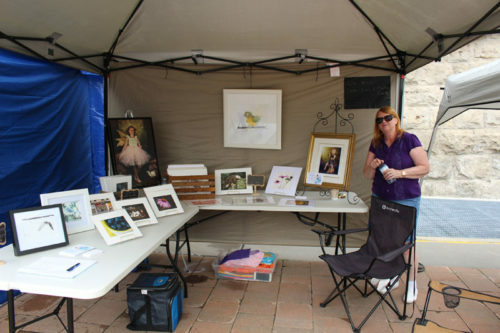 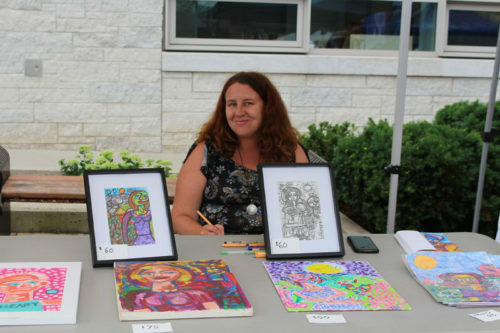 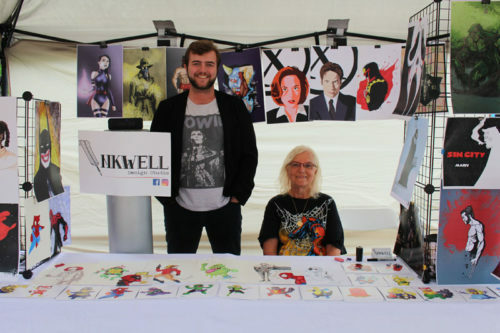 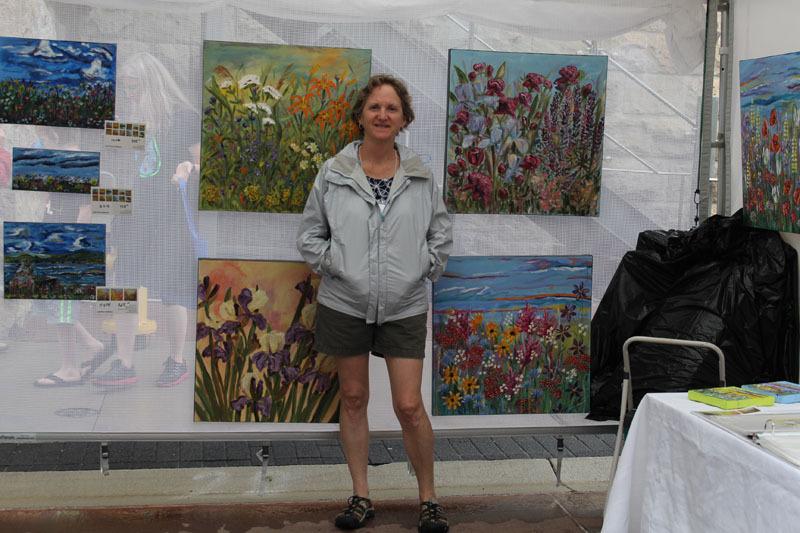 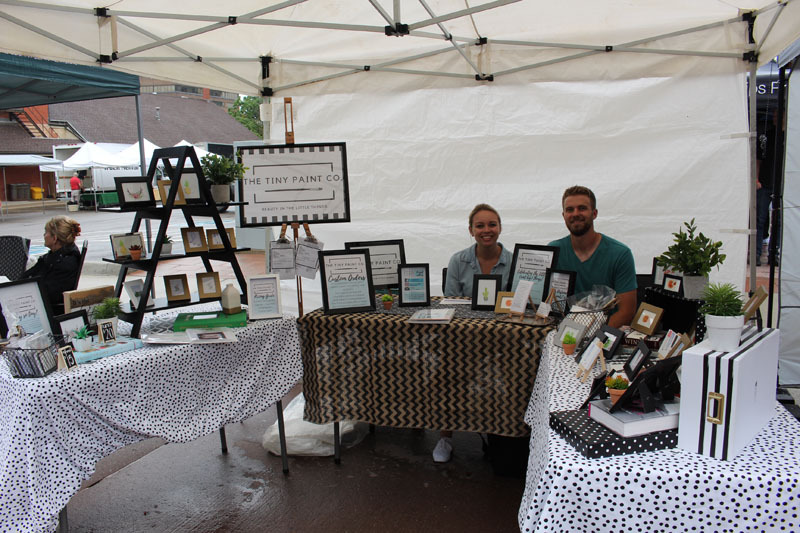 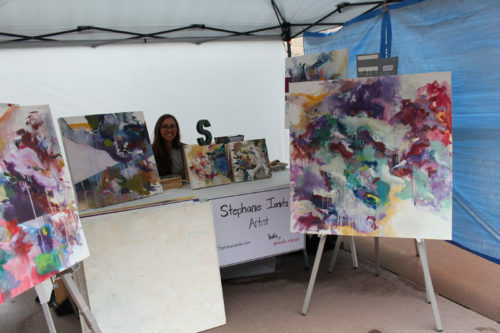 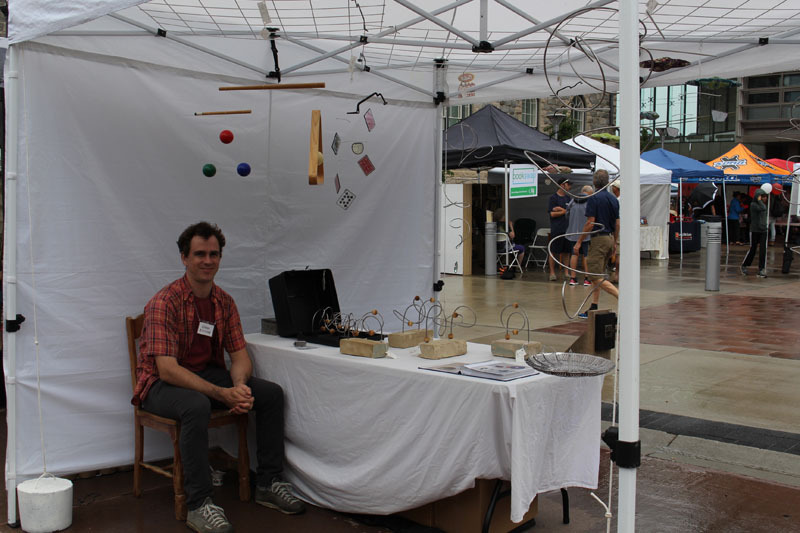 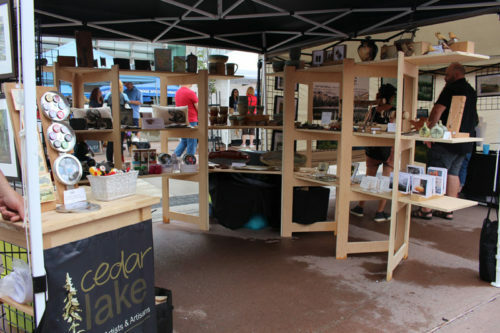 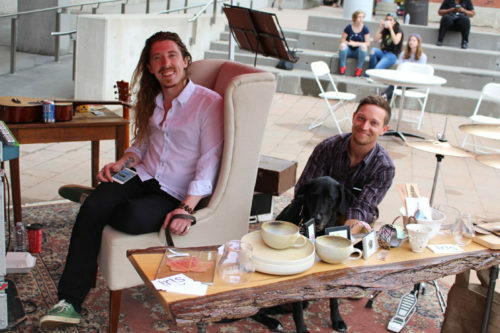 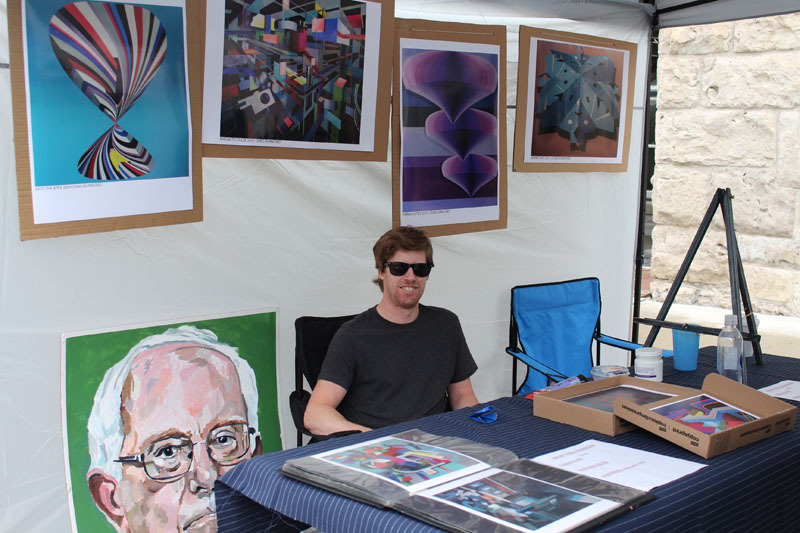 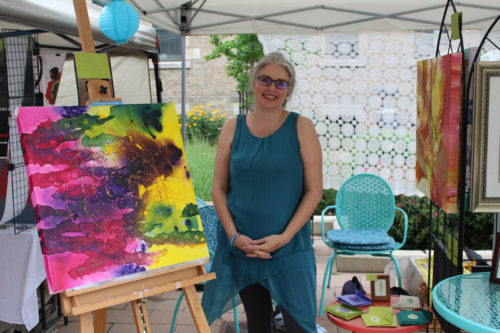 The Art Market was set up outdoors along Dickson Street and all around City Hall with over 70 artists and vendors in total. 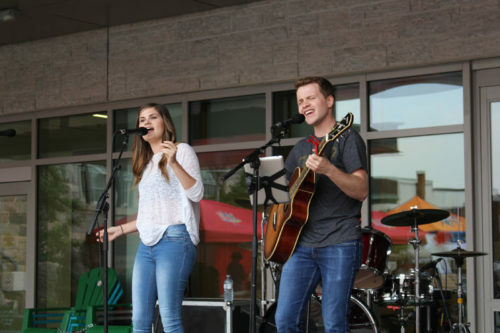 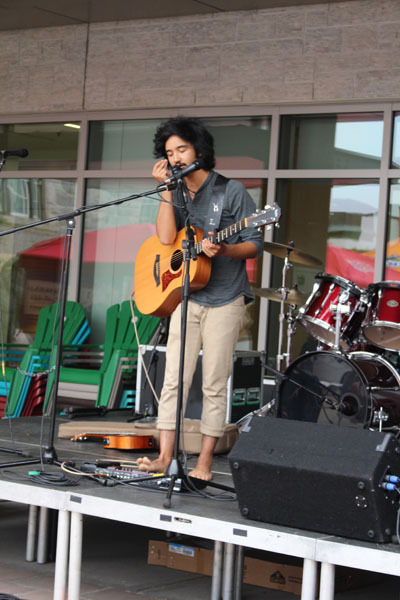 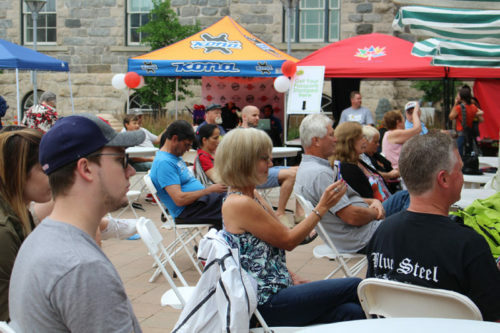 The main music stage was located in front of City Hall and was organized by our music partner E-Bolt Music. 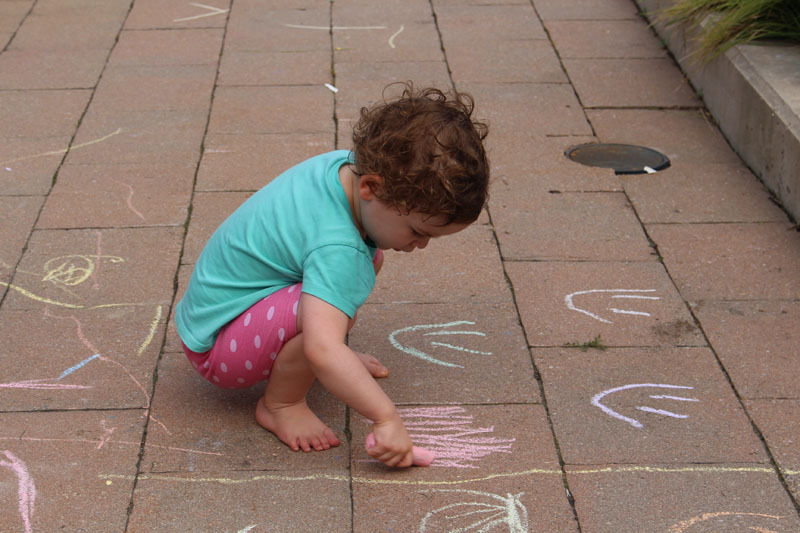 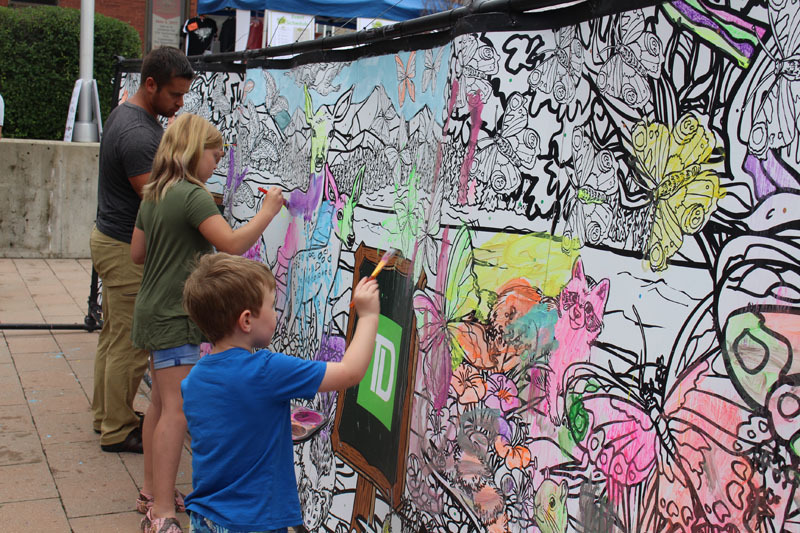 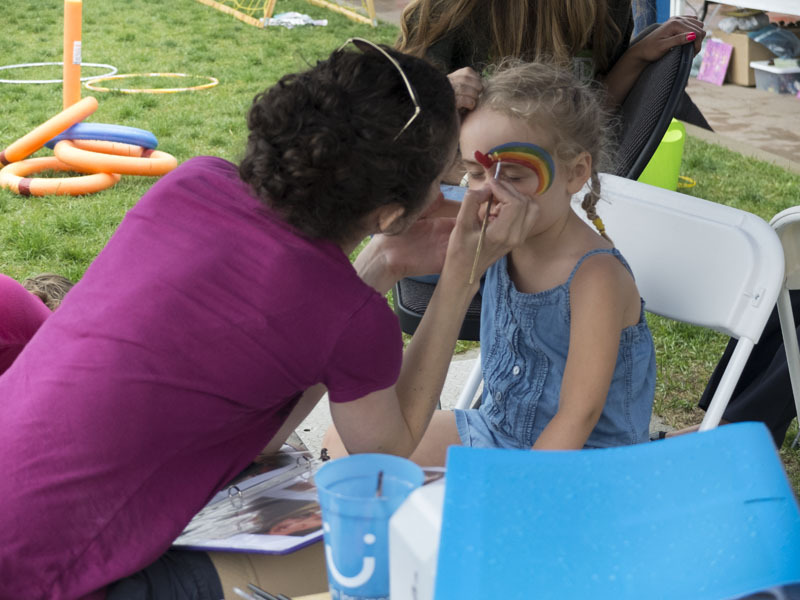 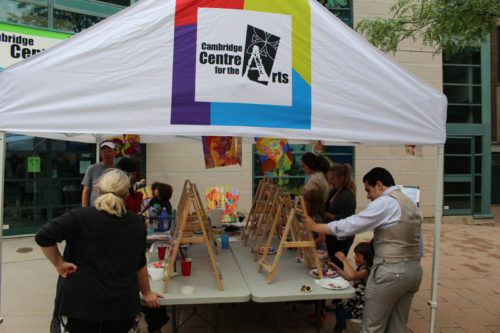 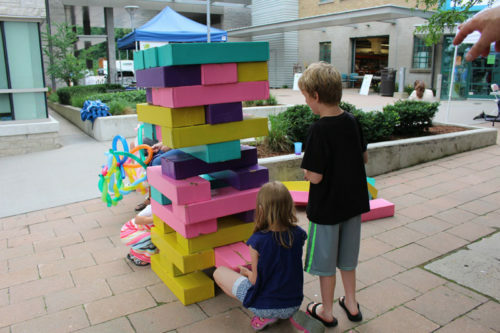 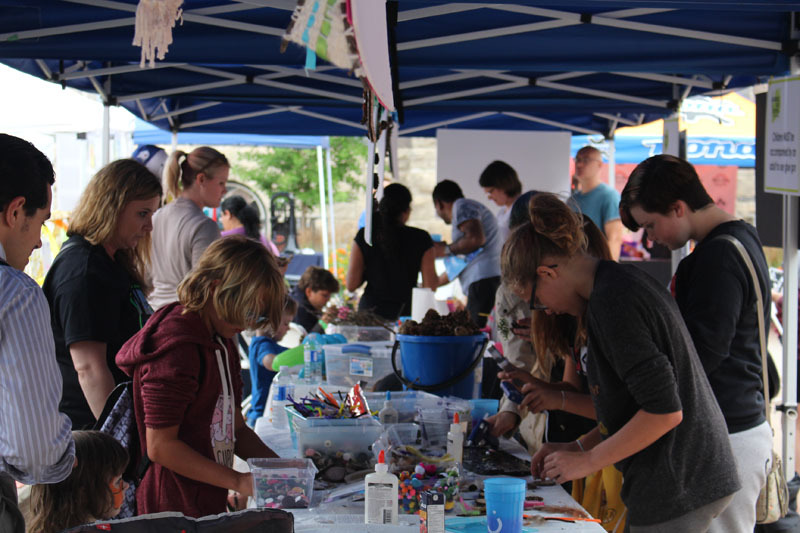 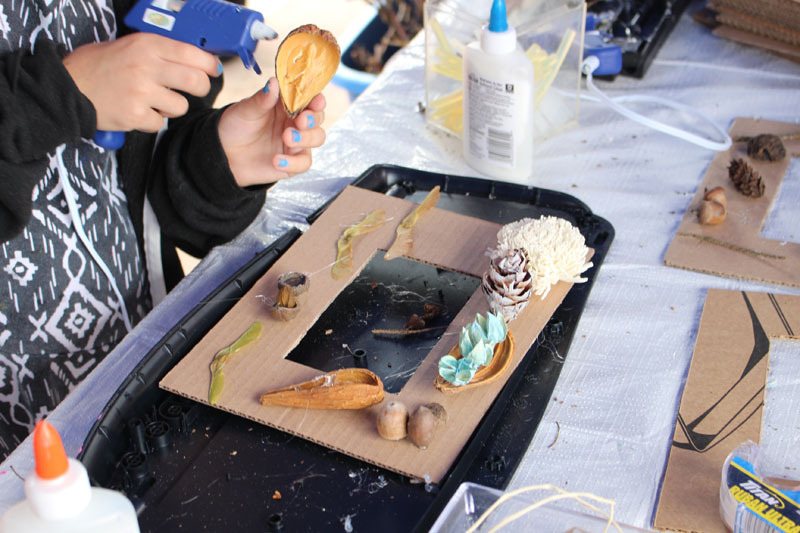 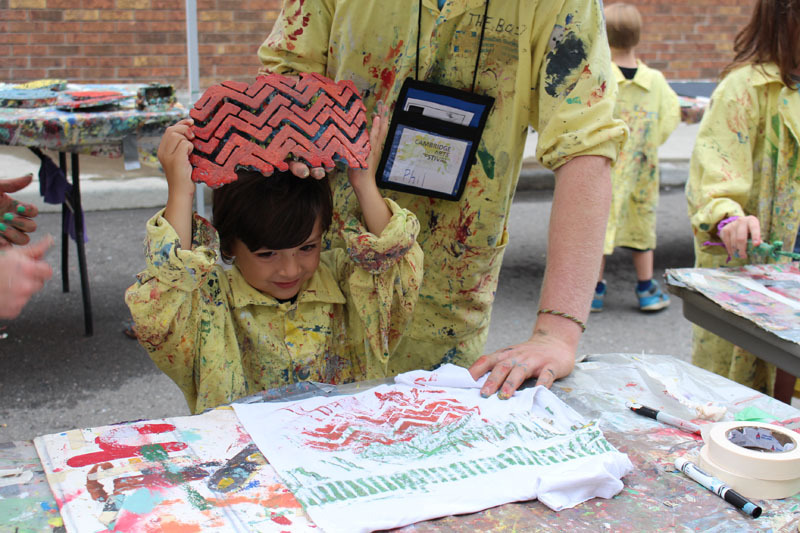 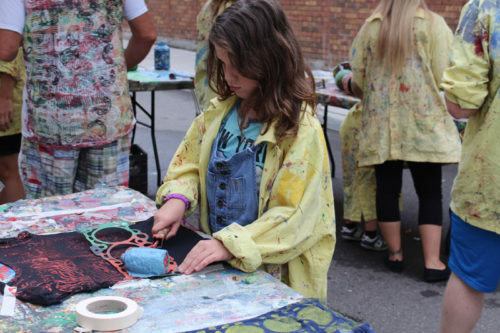 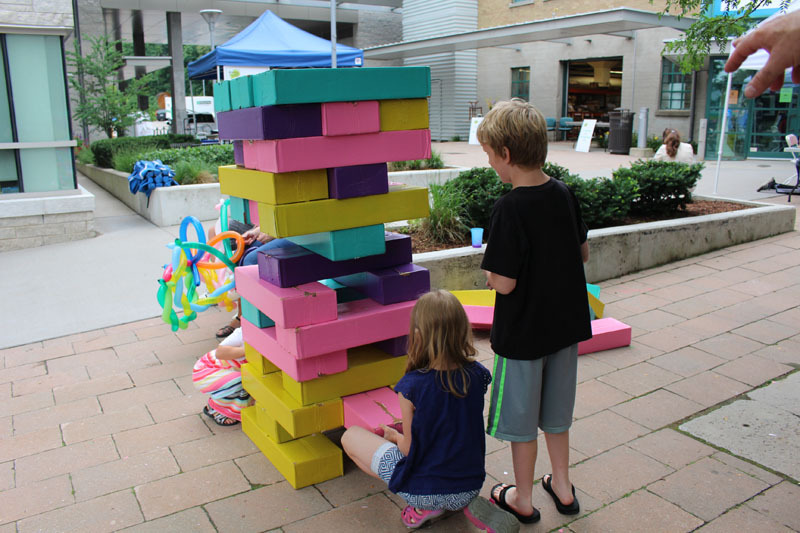 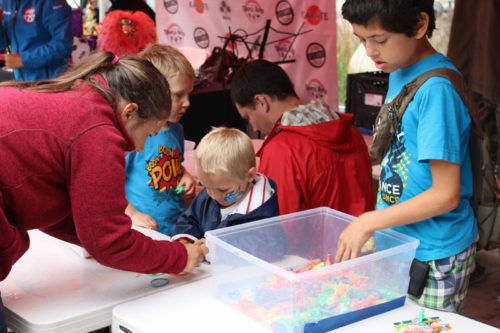 Our outdoor Children’s area offered even more free creative activities for kids including art and nature DIY activities, face painting, sidewalk chalk the TD Colouring Mural, Giant Jenga and more. 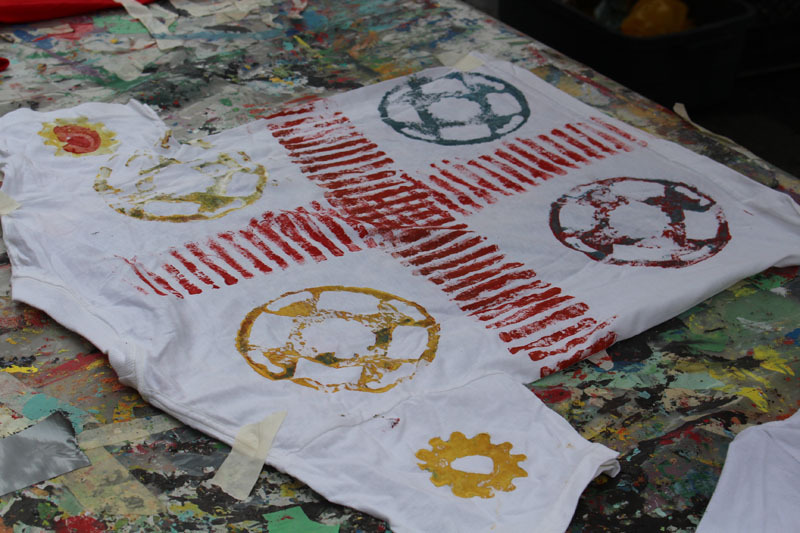 We were thrilled to welcome back Tinker Truck River Works and Tread on it T-Shirt Art. 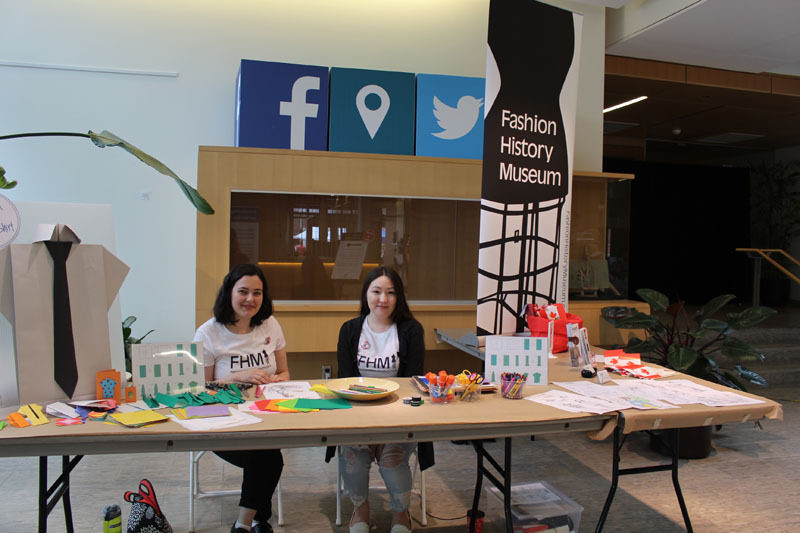 Back by popular demand, our Kid’s Passport was a big hit as children collected activity stamps to win their own take home DIY maker kits. 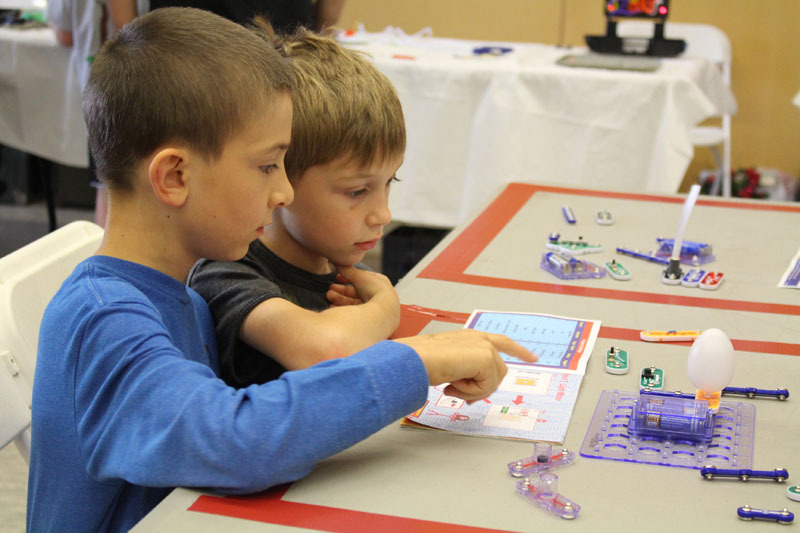 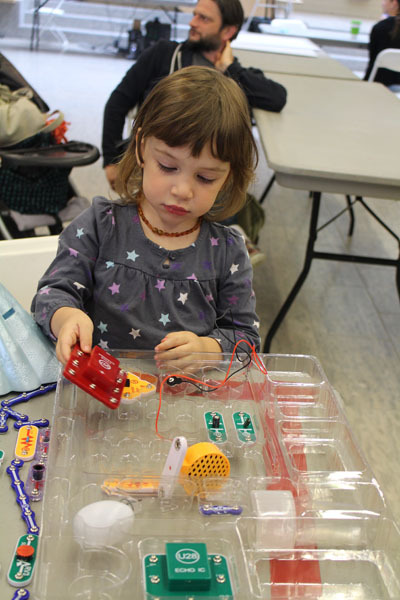 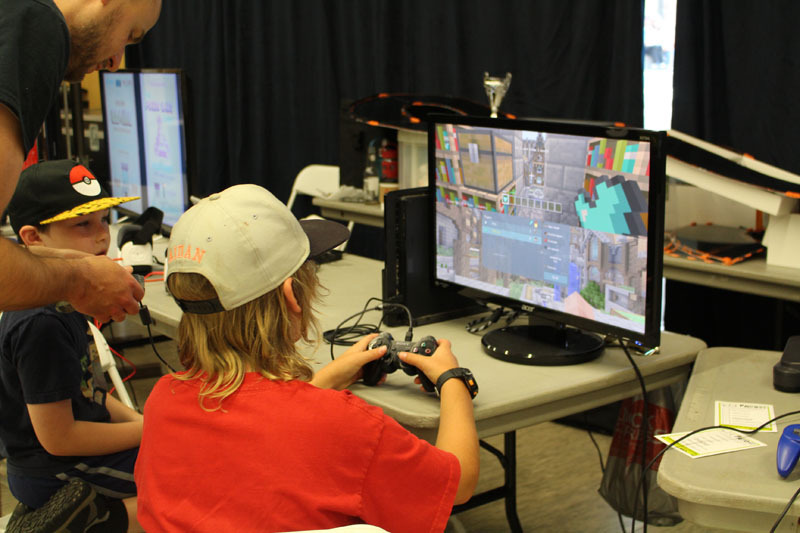 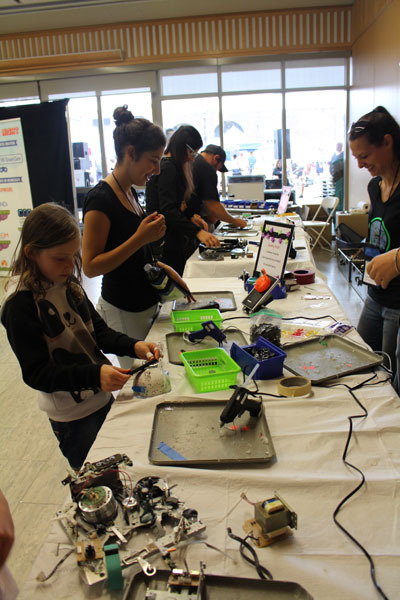 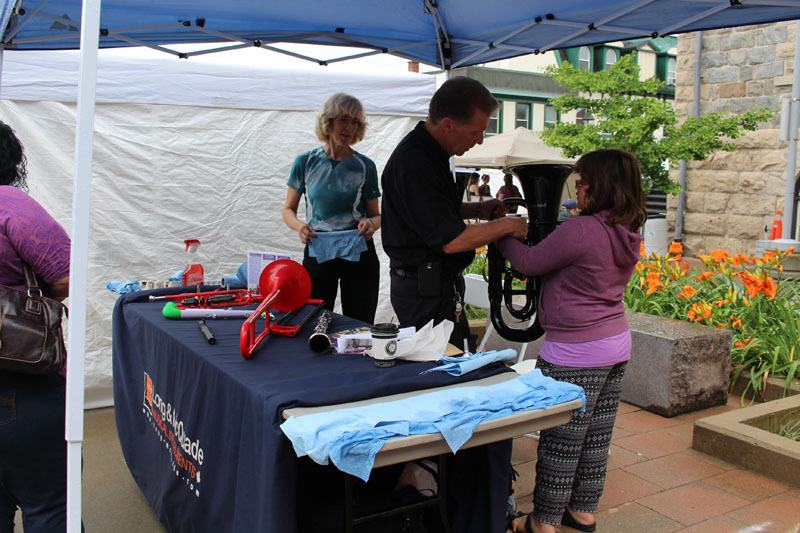 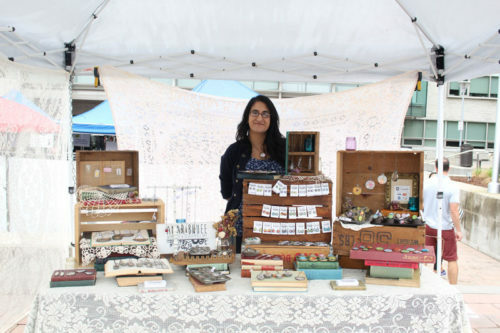 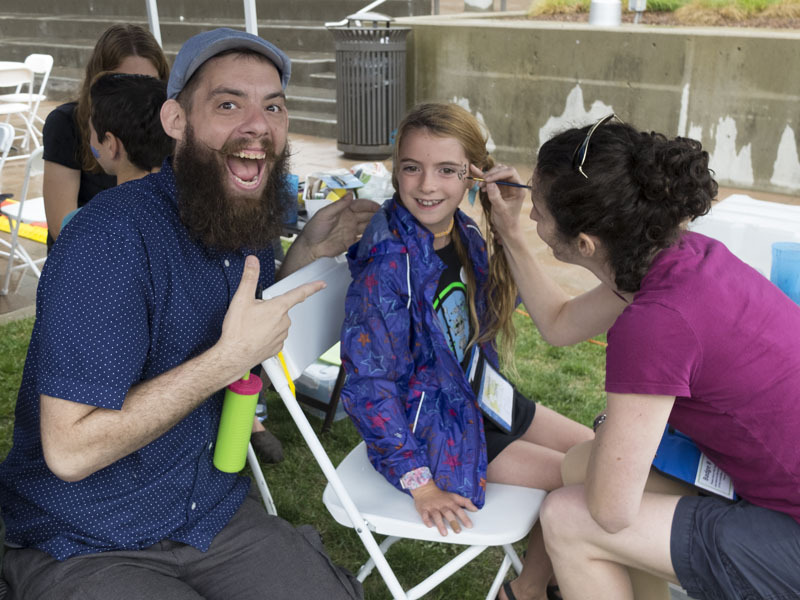 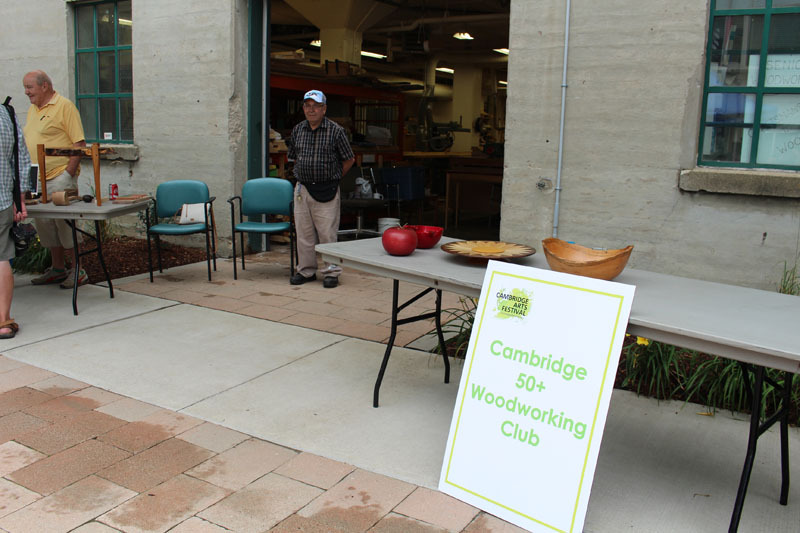 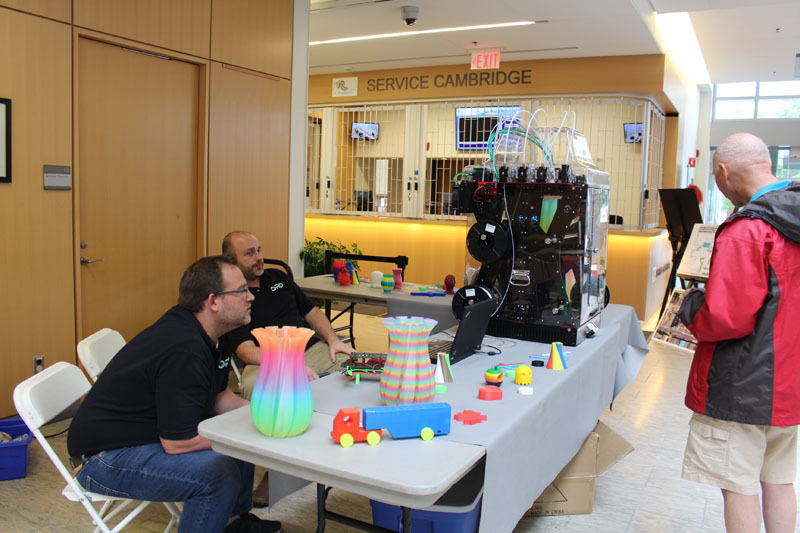 CAF holds the largest Maker Lab event in Cambridge and it was as popular as ever. 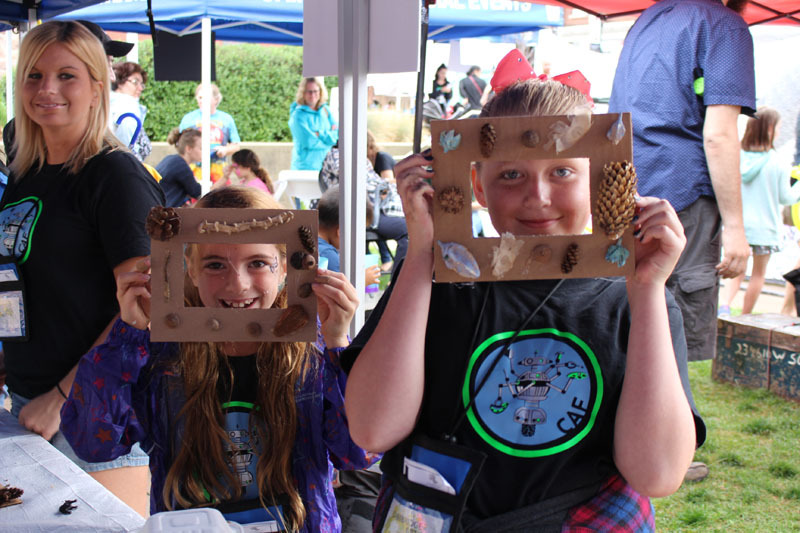 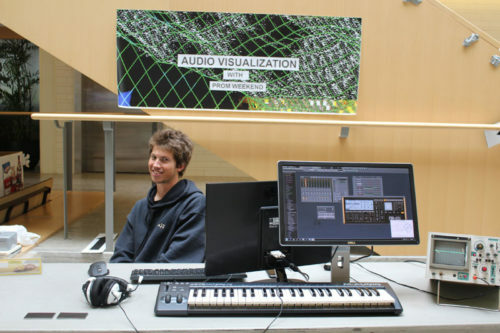 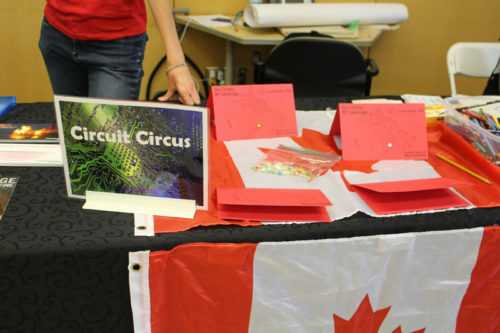 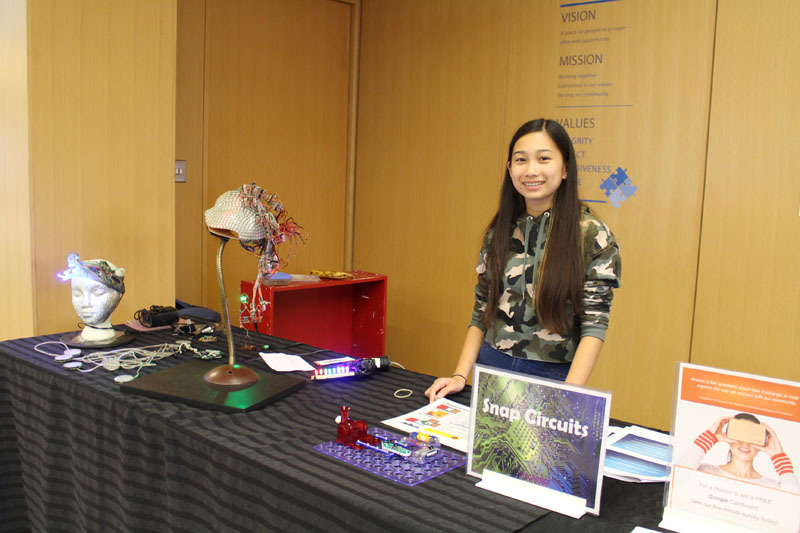 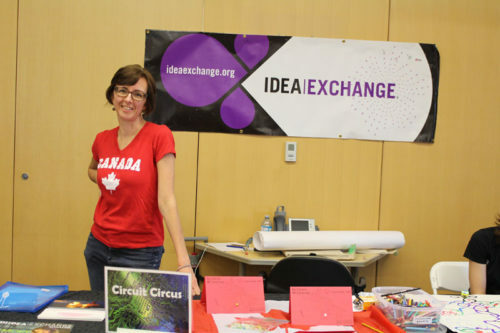 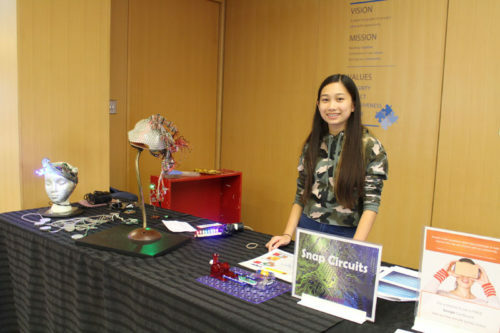 Features included musical performances and visual by Charlena Russell, video installations by Gareth Carr, Audio visualization with Prom Weekend, activities from ORD Solutions, Maker Expo, and Canada 150 Light bright card, Ozobots, Snap Circuits, Makey Makey by Idea Exchange. 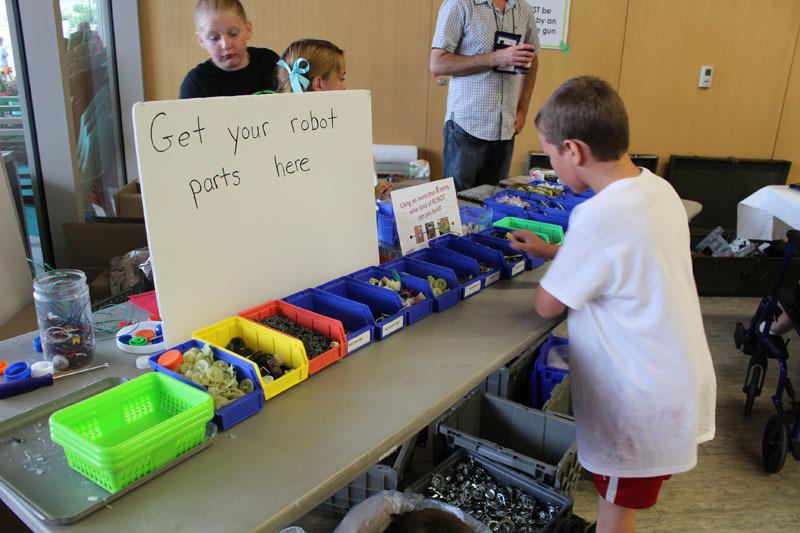 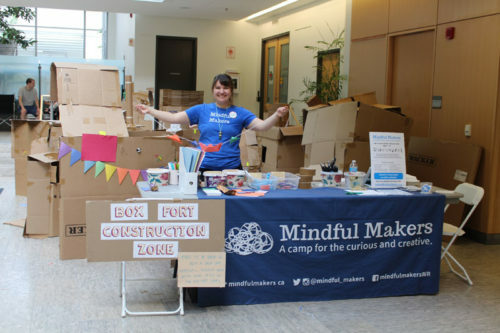 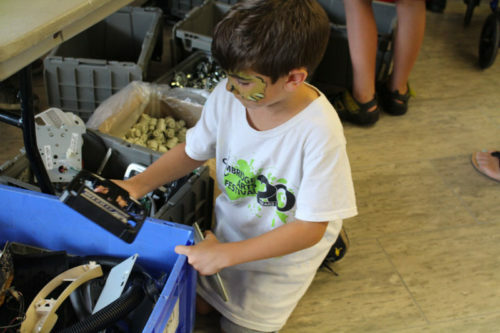 Other activities including Robot Assemblage, Simple Circuits Lab, Kinetic Kinect Art, Doodle Bots, Battle Bots, R/C Rovers, 3D Printers, Mindful Makers cardboard fort making rounded out our Maker activities. Our Silent Auction which was held in our month-long pop up gallery on Dickson Street was a great success and funds raised will support CAF 2018. 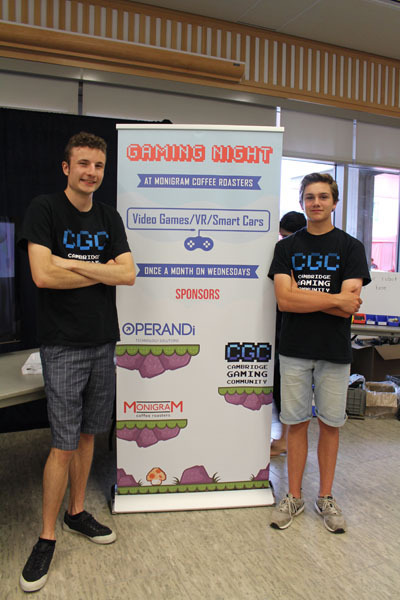 Many thanks to our donors (listed below) for their generous support. 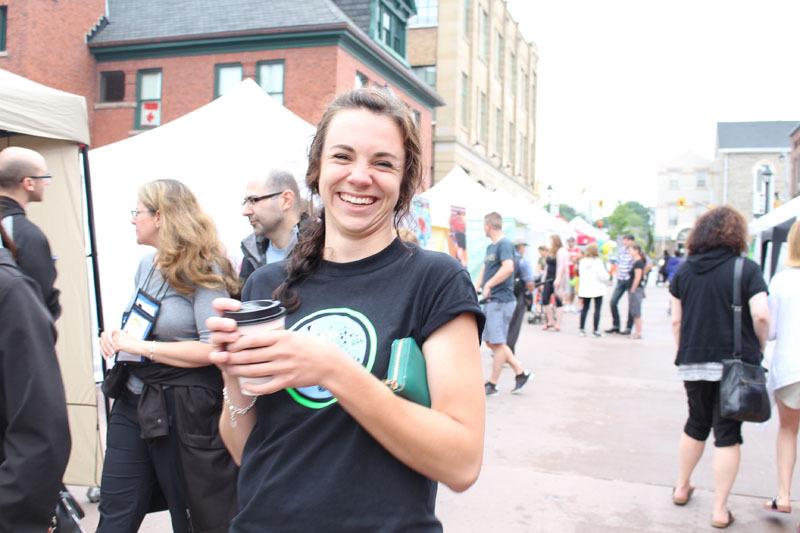 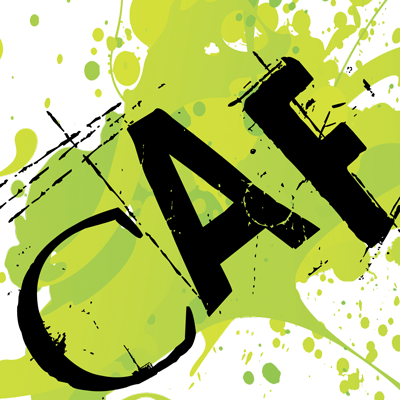 And Special Thanks to the 50+ CAF Festival-Day Volunteers – we could not have a festival without you! !